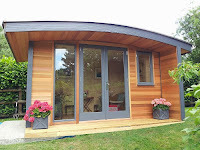 A marvellous unique garden office by Surman Weston for a co-shedworking musician and seamstress couple in London. The whold thing is clad in eco-friendly cork which is not only waterproof but also keeps everything cosy and soundproofed. As the architects say: "The natural earthy quality of the thick cork combined with wild flower roof also helps nestle the building into its organic green surroundings." 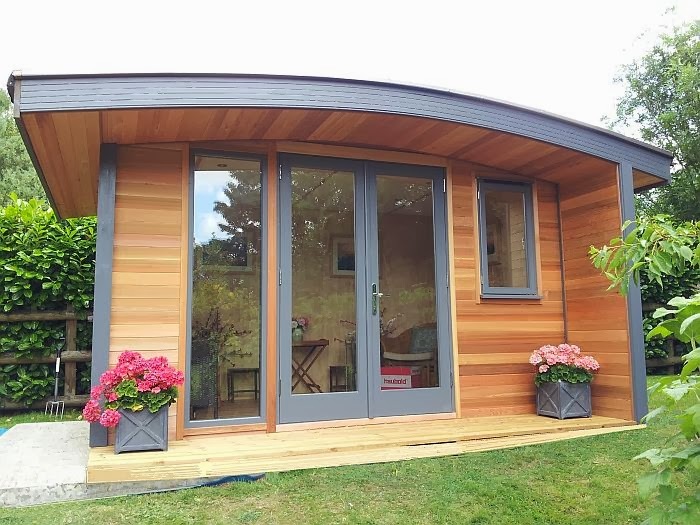 The interior is lined with birch plywood which has also been used to make the furniture while a clever large sliding door opens onto the garden.